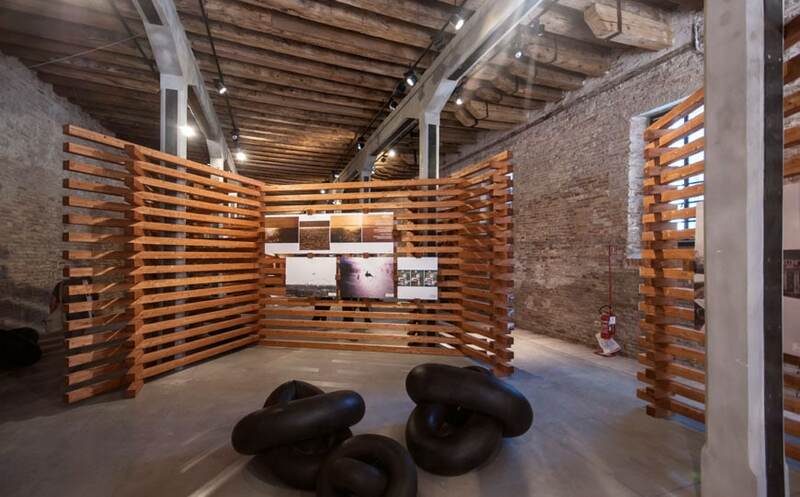 The approach of Argentina to the theme proposed by the Venice Architecture Biennale’s curator Alejandro Aravena, “Reporting from the Front”, is different from that of any other national pavilion. 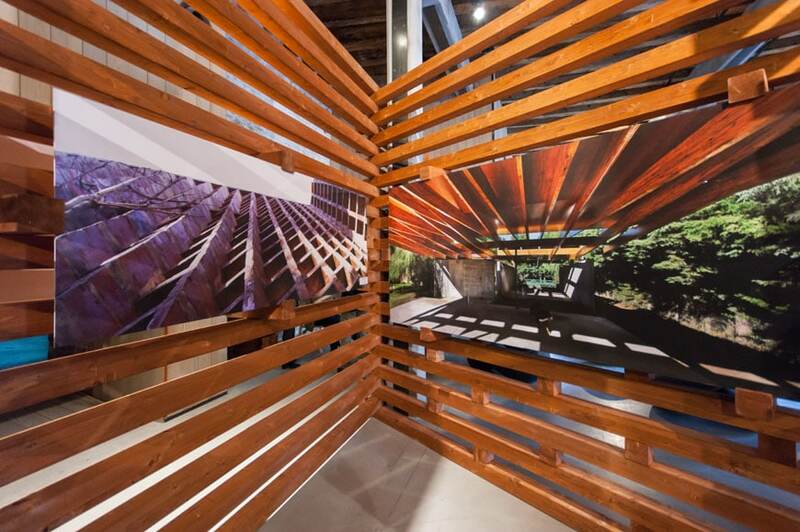 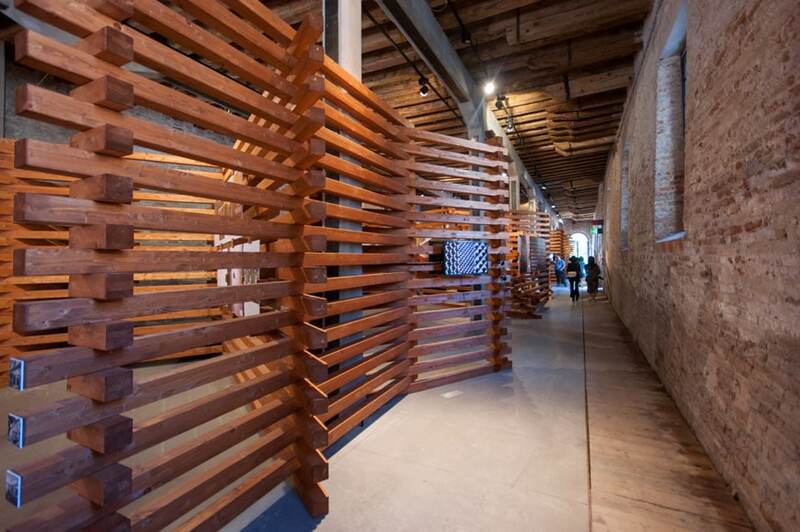 Indeed, the Argentine Pavilion’s curator, architect Atilio Pentimalli, re-interpreted the concept of “front” in a poetical way, though an eye-catching installation. 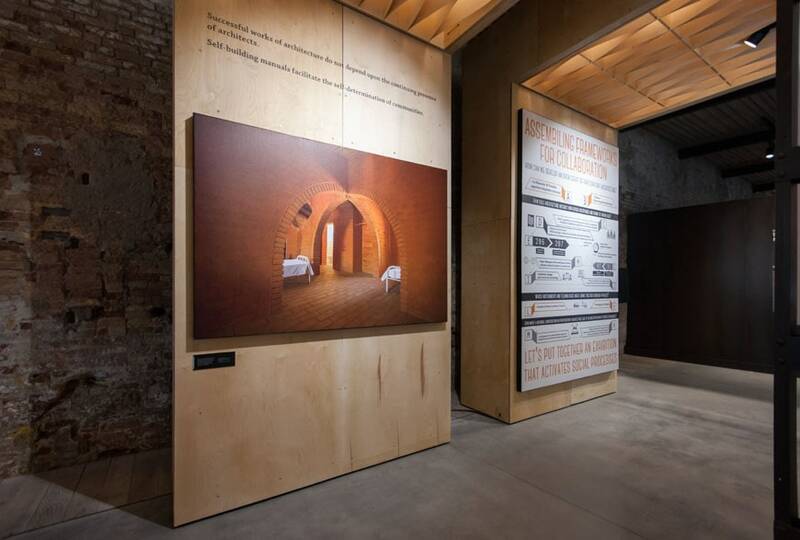 More precisely, the exhibition, entitled experimentAR – poéticas desde la frontera (experimenting – poetry from the border), identifies the idea of “front” with that of the open, boundless, space of the Argentine Pampa. 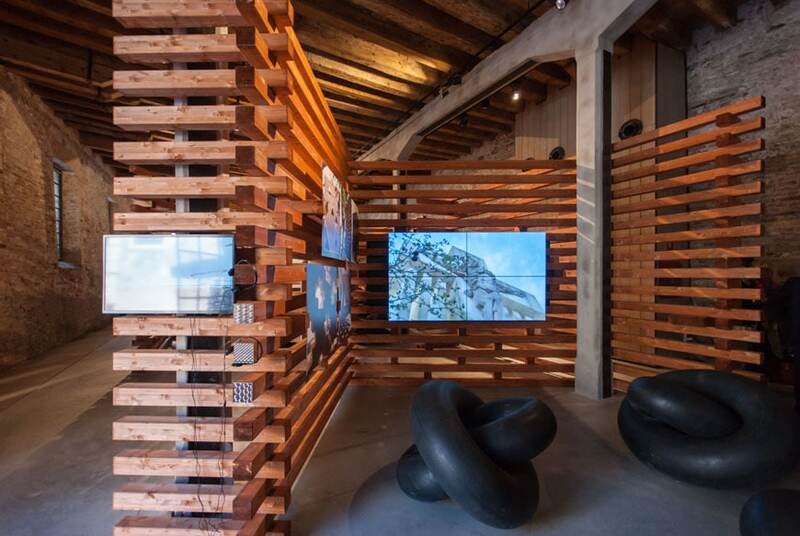 Therefore, the curator conceived a labyrinthine structure, made in timber and equipped with black-rubber inflatable chairs, inspired by Jorge Luis Borges‘ poetic idea of the complexity of the labyrinth as a metaphor of a universe that cannot be understood only by reason. 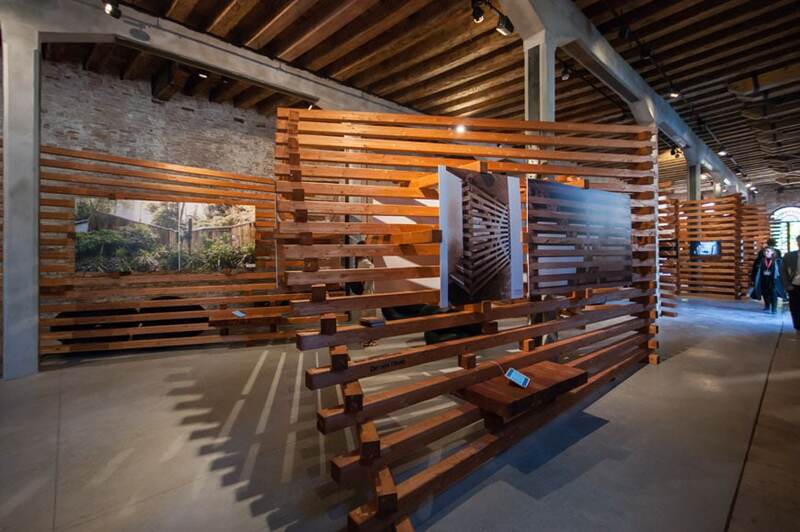 The exhibition, along with being a survey of the most interesting and diverse architectures built in Argentina in the last years, is primarily a perceptive experience which evokes the physical and ideal endlessness of the Argentine landscape. 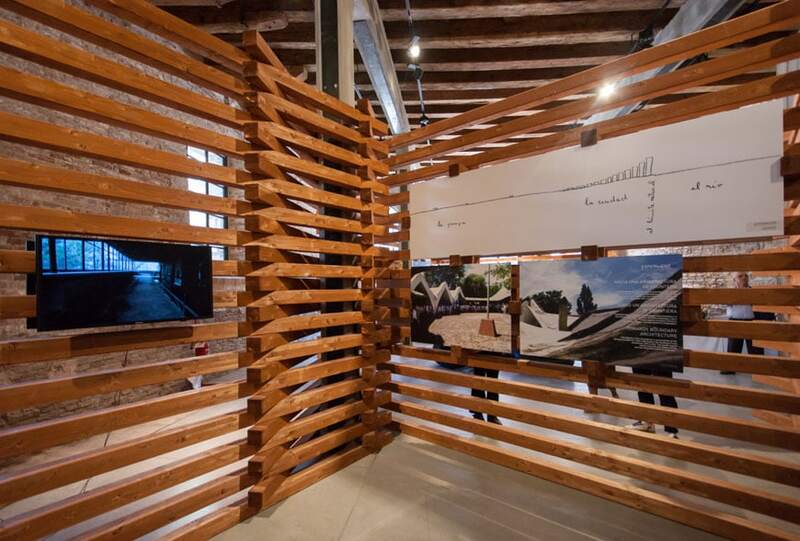 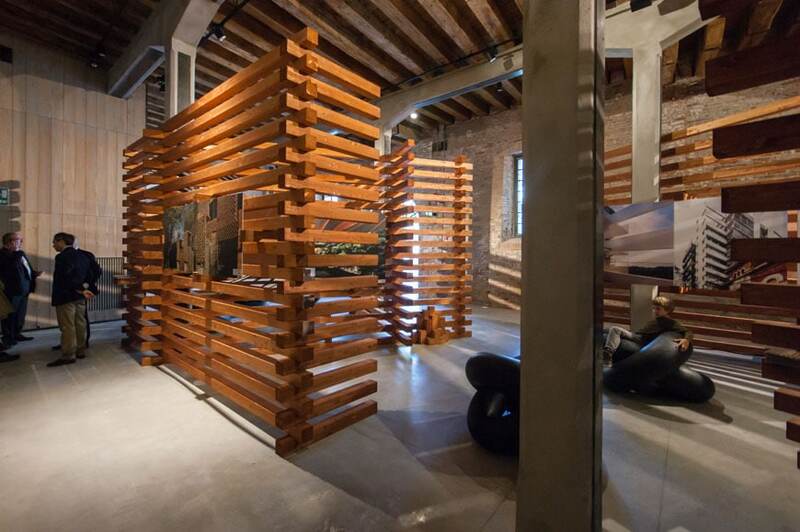 Located at the Venice Arsenale, the pavilion showcases 16 projects conceived by various Argentine architects and architectural teams: Rafael Iglesia; Nicolás Campodónico; Claudio Vekstein; Pablo Beitia; Jorge Scrimaglio; Francisco Cadau / Andrea Lanziani; Ariel Jacubovich / Martín Flugelman; a77 (Gustavo Dieguez / Lucas Gilardi); Claudio Caveri; Amancio Williams; Francisco Salamone; Mario Gonzales / Raquel Addesso; Diego Arraigada; Vicente Krause; Horacio Baliero / Carmen Córdova; and Roberto Lombardi / Ignacio Ruiz Orrico / Martín Alvarez.